Disruptive Innovation & Technology: What will it Really Take to Move the Needle on Climate? The Transition to a Clean Energy Economy: How fast will it happen? Zero Emissions, Big Business: How Can the Private Sector Help Cities Deliver on the Promise of Paris? 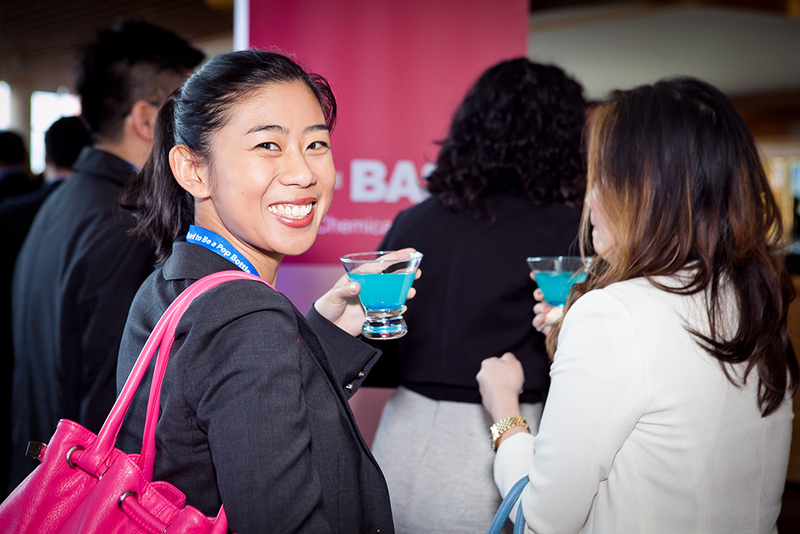 You can have fun and get business done at GLOBE 2016. We’ve created unique networking events for delegates to mix and meet while playing tourist in Vancouver. This reception will kick-start the event and set the stage for the next three days. Delegates can mingle with exhibitors in the Innovation Expo and enjoy a fun night of live music and entertainment while connecting with friends old and new over delicious food and drinks. Instead of meeting for a coffee or in a conventional meeting room, why not meet while you build a structural masterpiece? KEVA provides a unique building experience for all, and offers an opportunity to harness the ingenuity of your imagination. This is our most popular GLOBE event, and a guaranteed sell-out every time. Revisit the Roaring Twenties—an age of decadence, glamour and prosperity—in one of Vancouver's hottest underground bars. The popular national Walrus Talks series shares eighty minutes of thought-provoking ideas on the new energy economy, our collective impact, and finding paths to a sustainable energy future. Cocktail reception to follow. Open to all Conference delegates. Find more information here. Click here for details on the events. Start your day with fresh air and exercise by joining a Running Room guided walking/running tour. Take in stunning views of Vancouver's North Shore mountains and harbour. A healthy breakfast and lively discussions on corporate sustainability issues will kick off the morning on Thursday. Instead of meeting for a coffee or in a conventional meeting room, why not meet while you build a structural masterpiece? Come check out Science World’s KEVA station--a dynamic and immersive exhibit. Location: Terminal City Club, Metropolitan Ballroom, 837 West Hastings St. The Canadian Club of Vancouver, in collaboration with the Francophone Chamber of Commerce and Réseau HEC Montréal in Vancouver, is pleased to invite you to a luncheon featuring guest of honour and speaker, His Excellency Nicolas Chapuis, Ambassador of the French Republic to Canada. Join fellow conference attendees for dine-around dinners in the area that have been specially selected by our team.Location: Various nearby restaurants. Join fellow conference attendees for dine-around dinners in the area that have been specially selected by our team. The sign up guarantees a restaurant reservation only, all charges are at your own expense. Sign up is on first come, first serve basis at the Meeting room level in-front of the Room 11. These short, but informative films, have been hand-picked by our GLOBE Team focusing on the Great Bear Sea, the Pacific Ocean, Indigenous communities of the West Coast, and Sustainable Business. We're into our craft beers here in Vancouver, allow us show you a few of our favourites! Enjoy a variety of local craft micro-brewery selections and get a "taste" of the city. Come enjoy a morning yoga session to help centre your mind, balance your body, and get you ready for an exciting day at GLOBE. Whether you’re a seasoned yogi or new to the practice, all are encouraged to attend this free event. Don’t miss this opportunity to explore Vancouver’s Food Truck culture! Food Truck Alley will be located immediately outside the Vancouver Convention Centre and is available to all GLOBE participants. We even have a truck with vegan options. Hanif Janmohamed various pieces depicting his interest in the confluence between design and enterprise. The feature act, PK3 Jazz Trio, will bring smooth jazz stylings. Featuring Kristian Braathan on drums, Paul Miyai on piano, and Paul Rushka on bass, the PK3 Jazz Trio performs with great feel and interesting arrangements. Bringing an international flavour to the mix is the Goldenpearl Ensemble. The Goldenpearl Ensemble was formed by famous Master Ruan player Zhimin Yu, 10 years ago. The band consists of three master players of the PIPA (the Chinese lute lute), the ERHU (the Chinese violin) and the RUAN(the Chinese guitar). Award-winning flamenco guitarist John Gilliat. John Gilliat’s Flamenco & Latin Jazz guitar style is performed with an unusual flair and firery passion! World class pianist Lyndon Davies providing jazz and contemporary standards, and fun rhythm and blues. Lyndon Covers standards in all styles of music from the past and present including: Frank Sinatra, Rolling Stones, Elton John, Beatles, and more! Irish-born Neal Ryan is an accomplished singer-songwriter. He accompanies himself on acoustic guitar. Neal provides acoustic covers from the 60s' through to today's Top 40. © 2015 globeseries.com. All Rights Reserved.